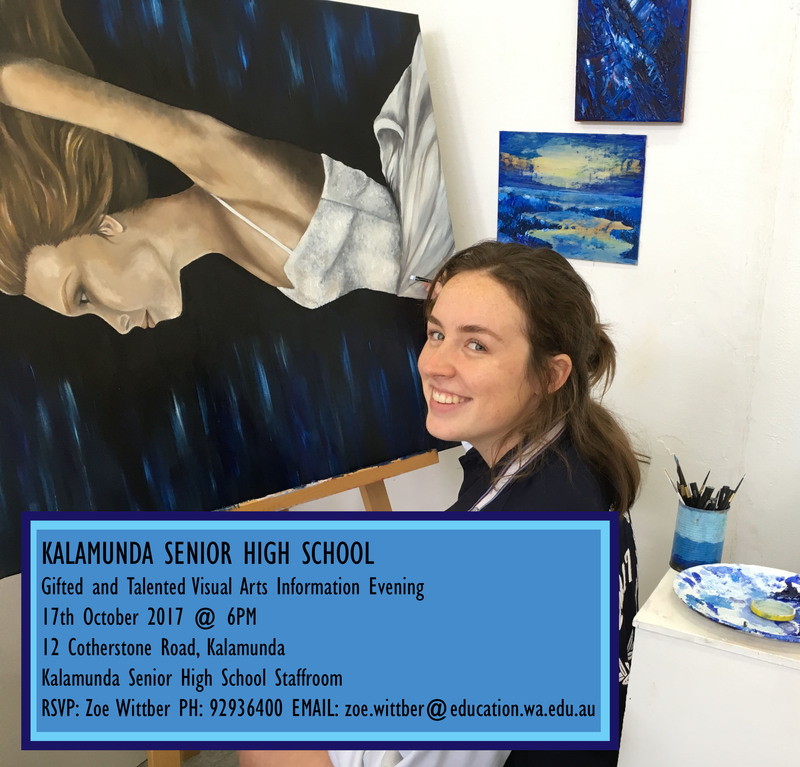 Kalamunda SHS has a long tradition as a school of the Arts and is at home in the Hills community, known for its creative and vibrant arts culture. The Gifted and Talented Programs (Visual Arts) is a selective program open to students with a natural creative artistic ability. Participation in this program allows these abilities to develop through a mix of visual enquiry, studio work, exhibition and critical reflection. Students interact with new mediums and technologies and have the opportunity to exhibit their own work. Students in this program take part in workshops designed to enrich and extend their art ideas, skills and processes. The workshops are held on Saturday mornings and are conducted by art tutors who are experts and specialists in their field. The tutors act as mentors to the students and provide the students with a strong network of support in the art world. 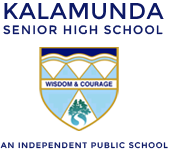 See our Home page for details on the Gifted and Talented Secondary Selective Entrance Programs information evening. Students who have not tested for but who aspire to enter the Gifted and Talented Visual Arts Program can apply for this program in the interim.